New Delhi: Delhi Lt Governor Anil Baijal has cleared the AAP government’s ambitious proposal of setting up around 300 mohalla clinics on the premises of government-run schools in the national capital. The LG office said that the proposal has been cleared but with certain riders relating to the safety and security of the school children. Some other conditions are also there. 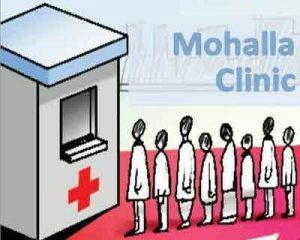 According to an official, as the proposal has been okayed by the LG, work on setting up mohalla clinics will begin soon. In November, Baijal’s predecessor Najeeb Jung had sent back the file related to the proposal, citing certain clauses of the Delhi School Education Act under which school premises can only be used for academic purposes. Chief Minister Arvind Kejriwal had urged Jung to invite him and power minister Satyendra Jain for a discussion to resolve the issue. The aim of opening mohalla clinics on school premises is to provide free primary healthcare to students as well as general public. “Lt Governor Anil Baijal has cleared the proposal to open around 300 mohalla clincs on premises of Delhi government’s schools. Health Department will now start working on setting up such clinics,” said a senior government official. The official also said that these clinics will have an entry point for general public from outside, restricting unauthorised entry to the school. The government had earlier announced that 1,000 mohalla clinics would be established by December 31 but the deadline was pushed to March this year. Mohalla clinics are run by the Delhi government that aim to provide free primary healthcare to all. Currently, around 109 mohalla clinics are operational in the national Capital, treating almost 2,500 patients every day.